As we enter into the time of year when many will celebrate the resurrection of our Lord and Savior, I wanted to urge you to consider more closely the events that led up to the day we celebrate called Easter. The specific event that I am referencing is when Jesus took his disciples to Gethsemane to pray. He told the men who were closest to him that his soul was overwhelmed with sorrow, and he asked them to keep watch with him (Matthew 26:38). After instructing his disciples to watch, Jesus went a little farther where he diligently prayed to the Father. The passion of his prayer is evident as one of the Gospels records that he fell with his face to the ground as he prayed (Matthew 26:39). Another records that during this time of prayer, he was so anguished that his sweat was like drops of blood falling to the ground (Luke 22:44). The words that he prayed three different times, “Father, if you are willing, take this cup from me; yet not my will, but yours be done” (Luke 22:42). In between these desperate pleas, Jesus would return to his disciples to find them sleeping and unable to fulfill his request to watch and pray with him. At this moment in time, Jesus was in the flesh, subject to all human physical and emotional pain as he walked out the unusual and cruel destiny he was born to experience. While the disciples slept, he understood clearly the price he was about to pay for you and me, and with that divine understanding, he pled with his Father to take this cup from him. We often think about the horrific physical torture and suffering Jesus bore for us as he was beaten to the point he was unrecognizable. We remember the crown of thorns that was pressed deep into his head, the heavy cross he was forced to carry, the nails that were driven through his hands and feet, and the spear that was thrust into his side. We may even think about the emotion pain Jesus was subjected to, as he was mocked and ridiculed and even spit upon. The grief he must have felt as some of his closest friends rejected him when he refused to defend himself even though he was totally innocent. Instead of only remembering these events, take a moment to go back to Gethsemane. This was the pivotal moment where we see the anguish of a decision. 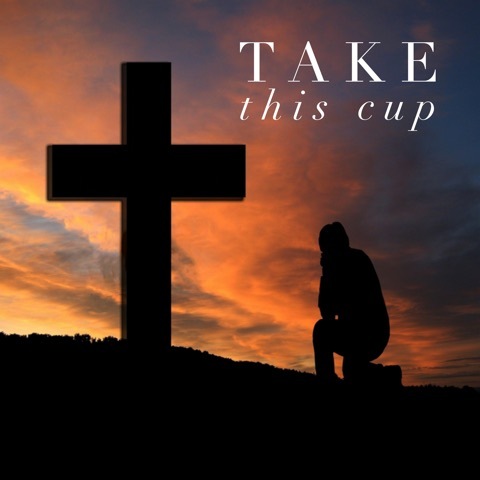 “Take the cup!” Jesus pled. Yet, what comes next shows his obedient character, “Not my will but yours be done!” What a significant decision Jesus made in that moment. One that forever impacted the eternity of all mankind. Jesus made the decision to walk out his destiny, which was that he was born to die! He came to this earth in human form to pay the price for our sins, to become the perfect sacrifice that provides each of us the opportunity for eternal life. If you know the rest of the story, after Jesus suffered and died for us, he was placed in a tomb. He wasn’t there long because three days later he was resurrected, and not long after ascended back to heaven. That same power that raised Christ from the dead is now at work in us who believe in him! I also pray that you will understand the incredible greatness of God’s power for us who believe him. This is the same mighty power that raised Christ from the dead and seated him in the place of honor at God’s right hand in the heavenly realms. Now he is far above any ruler or authority or power or leader or anything else—not only in this world but also in the world to come. God has put all things under the authority of Christ and has made him head over all things for the benefit of the church. This weekend as we give thanks for our Lord’s great sacrifice and celebrate his resurrection; may we also remember Gethsemane. Can we learn from Jesus’ example to pray, “Not my will, but yours be done!” Let us choose to follow our Savior’s lead and walk out our God-given destiny no matter the cost, accessing that mighty power that is available to us because he was willing to take this cup. Welcome to the part two of my blog post. Earlier this month, I published part one called, “Defense”. I shared of my experience earlier in life as a High School volleyball coach, and things to consider about offense and defense in an athletic competition. I used this concept to drive a spiritual point that I feel benefits all of us. Let me remind you of a couple key points. When we think about one team being on offense and the other being on defense during a given portion of a competition, we could think about many concepts, but the one I want us to focus on is opposing forces with the end goal of winning. Unfortunately, if feels that we are constantly surrounded by division. We find it in politics, in the workplace, in homes and families, and even in the church. This type of opposing forces can come with a greater price than just the loss of an athletic competition. With a variety of opinions comes an opportunity for us to become offended or defensive. While a strong offensive and defensive strategy may be critical to win in sports, allowing a spirit of offense or becoming overly defensive could cause you to lose big in your natural and spiritual life. Since these two issues can take such a toll on our love walk and our peace, I divided this topic into two parts. If you missed the first part, you can scroll down on the web site to read it at secretplacerevelation.com. Today, I want to continue the topic by looking at the offensive side. In our humanness, we have opportunities every day to offend others or to become offended by someone’s actions or words. Many times those situations are totally unintentional and misunderstood. I can certainly say that there have been times I have been sharing a heartfelt message, only to listen back and hear that my word choices didn’t portray the message I intended to share at all. There are times of misunderstanding because of the perceptions of the hearers and unfair expectations of others. Adding more complication, we live in a world with countless electronic communication methods, where our written and voice messages, or even lack of response to a message, can be interpreted in many ways. While some situations that could cause offense are very innocent, we must also face the reality that many truly are cruel. I have often said that hurt people hurt people. When we are suffering physically, spiritually, or emotionally, our actions and words may become offensive. Regardless of the intent of another person’s actions or words, we personally have a choice whether to pick up an offense or let it go. I like to think about it like picking up rocks. I grew up in the country, and as a young girl, I played outside much of the time. I remember picking up rocks for my dad to clear for mowing or even to use to build the outline of a pretend house. I would use my shirt to gather all of these rocks, stretching the fronts and staining them as I added more and more rocks to take back to my place of building. If you pictured every offense you are currently carrying as a rock, how heavy is your load? The reality is simple; offense hurts the one receiving it much more than the one who caused it, whether intentional or not. I believe we are to choose to try to see the best in others. I am thankful that so many have done that for me when I have unintentionally caused pain. I also believe it is important to forgive even when the offense was intentional. Let’s face it, we all make mistakes at times. This passage from the Bible makes this clear. When we feel the sting of the hurt others have caused us, this passage can be challenging to follow. When the offense feels too big to forgive, just remember that Jesus is our perfect example. He was innocent, no one could find any fault in him, yet he endured such inhuman treatment when he was beaten and sent to the cross. He bore every hurt we could imagine, and he sees and understands your pain. When you are willing to let it go, he will help heal those wounds. I am not understating the “offense” you may have endured; I am suggesting that you have a choice to make in what you do with it. You can react to it, by holding on to it and becoming bitter or you can do better by responding with love and forgiveness. Will you lay down your rocks? Will you choose bitter or better? One of the wisest writers of Scripture said, “Love makes up for all offenses” (Proverbs 10:12b NLT). With God’s help, I prefer to throw down my rocks and choose love instead. I hope you will too! Earlier in my career, I had an opportunity to coach High School Volleyball. I joked that after five years of this activity, I decided to give up coaching and keep my Christianity. In all honesty, it was something I enjoyed for a season and I am thankful for the experience. I have been able to look back on those years and apply both the positive and negative lessons learned in many aspects of my life. There are many things to consider about offense and defense in an athletic competition. I want to use this concept in a very different way to drive a spiritual point that I hope will benefit all of us. When we think about one team being on offense and the other being on defense during a given portion of a competition, we could think about many concepts, but the one I want us to focus on is opposing forces with the end goal of winning. Since these two issues can take such a toll on our love walk and our peace, I want to divide this topic into two parts. Today, I specifically want to talk about the defensive side. Have you ever been caught off guard by your own unintended defensive reaction in a given situation? Perhaps you received some unsolicited feedback or criticism about your personal passionate projects. Maybe you are in a discussion where your opinions are overlooked or deemed unimportant. Regardless of the situation, defensive feelings and more importantly the root of the cause of those feelings are painful. Defensiveness can be a serious problem. It can limit your growth and isolate you from risk taking, which might be required to walk out your God-given destiny. Additionally, defensiveness may limit your ability to mature as a Christian and to be used by God in ministry opportunities. As a Christ-follower, we should want to see forward momentum in our relationship with our Savior and in our efforts to share His love. If we are isolated behind a wall of defensiveness, how can we accomplish this goal? I recently had an unplanned opportunity to face this challenge. I was in two different situations during the same time where I found myself reacting defensively. I didn’t like the way it made me feel, and I certainly didn’t like the limitations it put on my opportunity for growth. I began to ask myself why I reacted this way. In the first situation, I had to realize that not all feedback is intended to be negative; often its purpose is to help you grow. When we have received hurtful or unfair criticism in past experiences, we can unintentionally put up a wall of defense that is meant to protect us from that type of pain, but it also protects us from advice that may help us succeed. In the second situation, I had to realize that my initial reaction was related to a passionate belief; however, I needed to take a step back and respond instead of react. My key take-away from this experience is this. My situation was unlike an athletic event, no one had to win! I began this blog defining the key concept of the athletic competition I was referencing as the opposing forces with the end goal of winning. It is an unreasonable expectation to think that everyone will agree with your opinions, and the reality is others are as passionate about their way of thinking as you are. Much of our defensiveness could be avoided if we did as James instructed in the above verse and become better listeners and slower to speak. When we can put ourselves into another’s perspective, we may see things more clearly from a very different vantage point. This is the place where compromise and growth begins and hate and division can be obliterated. Next time you find yourself feeling overly defensive, stop and ask yourself if you are reacting or are you responding. Remember to listen for the opportunity not just the criticism, realize that you are who God says you are and don’t allow yourself to be defined by others, and lastly, relax and realize that you don’t have to defend everything. The emotional consequences of being overly defensive are simply not worth it, and the ability to relax and understand that others have the same right to their perspective is liberating. Stay tuned for part two coming soon about offense! As we approach the month of February, a month known for being a time for expressions of love, ask yourself what you are personally conveying to those around you. True love “Bears all things, believes all things, hopes all things, and endures all things” (1 Corinthians 13:7). My heart hurts from the lack of enduring love that I am witnessing all around me. Never in my adult life have I observed the level of division and hate that I see before me in so many forms. As Christ followers, I believe we are to express something greater. I am not talking about a compromising faith, but I am referencing a love that can endure differences of opinions. I believe we can stand firmly on the promises and instructions provided for us in the Word of God and continue to express love to those who disagree with our stance. I believe this starts within ourselves, for what is in us will eventually come out. I always like to pose this question, if you are in imminent danger, with only a few seconds to respond, what is the first thing that comes out of your mouth? I would argue that your response is an indicator of what is inside of you. When impurities are heated up, they tend to rise to the surface. I learned this watching my husband make fishing lures. He melts lead to pour into molds during this process. As the metal gets hotter, the impurities rise to the top for him to scoop off. There are moments in our lives where things are heated up. Perhaps it is a difficult situation that you are walking through, a challenging relational issue, or even a political or ethical stance that is challenged. Regardless of the cause, what comes out when under pressure is an indicator of what is inside. If you take inventory and do not like what is coming out, there is a better way. The Bible tells us, “Greater is He that is in you, than he that is in the world” (1 John 4:4). He can help us to love in unlovable times and in the most challenging of situations. He teaches us unconditional love. Paul’s instructions to the New Testament churches are applicable to the “Church of God” or all believers. We should be not only the field, which God cultivates, but also the house, which God builds; a house in which He intends to dwell! When we take inventory, if we find that we are full of strife and division, we can learn from these instructions that there is a better way. 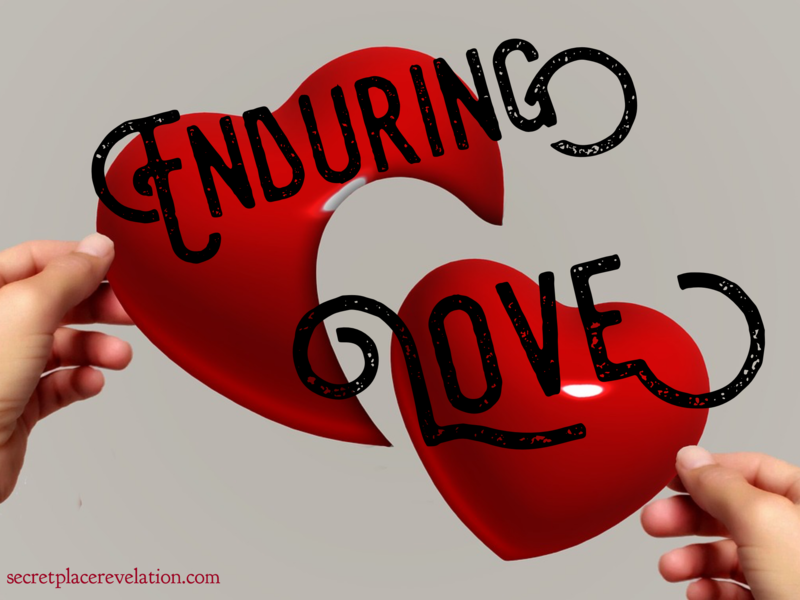 Later in this same book of the Bible, Paul describes enduring love. Could we as believers strive to develop this kind of love for others? Could we instill and demonstrate this kind of love for our children, grandchildren, and all we touch? Could we imagine a world without bullying, without hate for those who look, believe, or act differently than we do? I am not suggesting that we should not have strong convictions about the clear instructions that are provided for us in the Word of God. However, we should equally have strong conviction to love those who believe differently, even while opposing what they believe in. Jesus demonstrated the greatest love when He laid down His life for us. He did not come to bully and spew hate at those who didn’t believe as He did. He loved in such a selfless way that He endured unbelievable torment for ALL. My passionate plea is that if we call ourselves His follower, we could demonstrate His love during a time of great strife and division in our country. I am praying and asking God to invade our lives in such a way that His love is shown in and through us. On our last day of our week of prayer, I want to share about the prayer of praise, worship, and thanksgiving. These three are closely related. A heart of thanksgiving makes you want to praise and worship. However, I believe one of the things we have to guard against is just repeating empty words that are not heartfelt. If someone gives me an amazing gift, I don’t just continue to say, “Thank you, thank you, thank you, praise you, praise you, praise you!” I specifically say, “Thank you for that amazing gift”. If my spouse helps me around the house, I specifically tell him, “Thank you for cleaning up the kitchen for me”. I believe there are times that we may be saying the words, but they are not coming from our heart. We should be specific when we thank the Lord for the blessings He bestows on us. Likewise, it is important that we think about the words that we are singing when we are offering up that type of praise. Without focus and a true heart of worship, we can be singing words and not even think about what they mean. Here are some examples of heartfelt praise and thanksgiving. PRAISE THE Lord! (Hallelujah!) I will praise and give thanks to the Lord with my whole heart in the council of the upright and in the congregation. 2 The works of the Lord are great, sought out by all those who have delight in them. 3 His work is honorable and glorious, and His righteousness endures forever. 4 He has made His wonderful works to be remembered; the Lord is gracious, merciful, and full of loving compassion. O give thanks to the Lord, call on His name; make known His doings among the peoples! 9 Sing to Him, sing praises to Him; meditate on and talk of all His wondrous works and devoutly praise them! 10 Glory in His holy name; let the hearts of those rejoice who seek the Lord! 11 Seek the Lord and His strength; yearn for and seek His face and to be in His presence continually! The first reason we should worship, praise, and offer thanks is simply because He is worthy of it. Secondly, it releases great power. God has ordained it to be that way. After Solomon’s temple was completed, we read what happened when the people gathered to offer praise and thanksgiving. And when the trumpeters and singers were joined in unison, making one sound to be heard in praising and thanking the Lord, and when they lifted up their voice with the trumpets and cymbals and other instruments for song and praised the Lord, saying, For He is good, for His mercy and loving-kindness endure forever, then the house of the Lord was filled with a cloud, 14 So that the priests could not stand to minister because of the cloud, for the glory of the Lord filled the house of God. Worship, praise, and thanksgiving are so powerful, and they can be a mighty weapon when we walk through times of testing and difficulty. What happens when we refuse to get over into fear, but we offer up our prayer with thanksgiving? If you keep reading that passage, it tells us. Another Scripture that shows the power of praise during times of difficulty is when Paul and Silas were in prison. These men had been beaten badly and they were in a horrible place with their feet in chains, yet they were still praising God. That praise had a powerful result! 25 But about midnight Paul and Silas were praying and singing hymns of praise to God, and the prisoners were listening to them; 26 and suddenly there came a great earthquake, so that the foundations of the prison house were shaken; and immediately all the doors were opened and everyone’s chains were unfastened. Because of this display of power, the jailer and his family were saved! Praise, worship, and thanksgiving will keep your prayer life balanced. Without it you will be too concentrated on the difficulty, and give too much credit to the enemy. With it, you will be less focused on the problem and more focused on God your provider! Pray for revelation of the bottomless things of God. Pray for God to move in us and through us to do greater things than even Jesus did while on the earth, with signs and wonders following us. 1 Corinthians 2:9-10 NKJV: 9 But as it is written: “Eye has not seen, nor ear heard, nor have entered into the heart of man the things which God has prepared for those who love Him.” 10 But God has revealed them to us through His Spirit. For the Spirit searches all things, yes, the deep things of God. We have been providing some prayer tips each day to help your prayer life to flourish during our week of prayer. I hope you will incorporate all these different tips into your own individual prayer life after this focus week is over. Today I want to share with you about two important aspects of prayer, the prayer of agreement, and the act of listening. One of the things we have tried to encourage this week is the prayer of agreement. We have posted specific topics to pray about and specific Scriptures to pray throughout the day. Additionally, for those who are local, we have been meeting every night for an hour to have a live event of corporate prayer. Some may have the attitude that I can pray better on my own in the privacy of my own prayer closet. I agree that we all should certainly pray individually and our prayer life may be different when we are praying alone than it is when you are corporately praying. However, both types of prayer have an important place. From a practical perspective, what might that look like? Well we have had many opportunities to practice this during our week of prayer together. When someone is praying about a focus topic, you can join in and pray in agreement instead of just listening to that person pray. Why is this type of prayer important? One reason is that unity is a powerful force! One of the best examples of united prayer is found in Acts 4, when the religious leaders threatened to hurt Peter and John unless they stopped preaching about Jesus. The church’s response was to go to prayer in one accord. I think it is interesting that the first verse I read says, “They lifted up their voice to God in one accord”. It doesn’t say voices. It was a united prayer that made the place literally shake! We read a little later in Acts that Herod killed James and imprisoned Peter, and once again the Bible tells us that, “Prayer for him was being made fervently by the church to God” (Acts 12:5 NASU). If you read the whole story an angel of the Lord came and Peter’s chains fell off and he was able to walk right out of that prison. The power of their united prayer broke the chains that held Peter. There are so many chains that need broken off so many people we know. The solution is for a united church to come together and pray the prayer of faith in one accord. Can you imagine a one-sided conversation like that where I ask all these questions, make a bunch of demands, and then just end the conversation? Can I suggest that if we are not careful, this is often what our prayer conversation sounds like to God. It is so easy to be caught up in asking God all the questions we need answered, and list all the needs we have, but forget to stop talking and position ourselves to hear His response. Learning to “be still” in His presence is often a discipline that is hard to learn but practice and you will get better at it. I just want to encourage you to develop this practice. Listening for the voice of God is an essential part of your prayer time. We have been discussing the ABCs of prayer the last two days. Monday we learned that “A” stands for “Abiding”, yesterday we discusses “B” which stands for “Believe”. Today let’s consider “C”, which stands for “Continue”. Originally, I told you that the “C” stands for “Continue to pray, but my goal is to encourage you to continue period. A familiar passage is found in the second part of verse 16 in James chapter 5. The effective, fervent prayer of a righteous man avails much (James 5:16b NKJV). I love the way that passage reads in the Amplified Bible. When we continue to pray, we stick with it all the way until the end. That means when God puts a person or a situation on your heart, you continue to pray about that until the prayer is totally answered or until the burden lifts and you sense victory. 17 Elijah was a man with a nature like ours, and he prayed earnestly that it would not rain; and it did not rain on the land for three years and six months. 18 And he prayed again, and the heaven gave rain, and the earth produced its fruit. If you go back and read this account about Elijah in 1 Kings 18, he went to the top of Mount Carmel and knelt down to pray for rain. He sent his servant Ahab to go look toward the sea to see if rain was coming. When he came back and reported that there was nothing, Elijah kept praying and sent him back again, in fact he sent him back again seven times! After the seventh time, Ahab reported to Elijah, “I see a cloud as small as a man’s hand coming up from the sea!” (1 Kings 18:41-44) Elijah prayed and he continued to pray until he saw victory. James uses this example and says about it, “The earnest (heartfelt, continued) prayer of a righteous man makes tremendous power available [dynamic in its working]”(James 5:16b AMP). As you likely know, during Jesus’ earthly ministry, He liked to teach using parables. Depending on which version of the Bible you are looking at the one found in Luke 18 is often called either the “Parable of the Persistent Widow”, or “The Parable on Prayer”. I want to share it with you. Perseverance is important, but it is a word we don’t always like, because if you are to persevere, you must need to push through some kind of difficulty, opposition, or delay. Perseverance often makes me think of endurance, which gives me a picture of a long distance runner. I have never enjoyed running. When I was in high school, I was on the track team for all the wrong reasons. I liked to do the jumps or maybe the short races or relays, but I certainly wasn’t committed enough to be the one who ran the long distance races. Those races required too much perseverance. The ability to push through the pain and fatigue when you feel like your lungs are on fire and your legs cannot move another step. This passage describes our spiritual race during times that require perseverance. We are reminded to keep our eyes on Jesus since He demonstrated for us not only how to start a race, but how to finish it! In the middle of the race, there are times you feel all alone and you may be tempted to question if you are in the right race. We sometimes feel this way when we are in the middle of a situation in which we have been praying and believing for victory and we have not seen an answer yet. Let me tell you two of the greatest enemies in certain stages of the race is doubt and disappointment. When you are in a season where you have been believing and standing in faith for a long time, and your answer has not yet manifested, it is tempting to begin to question if you really heard from God, or if this commitment to the race or to prayer is really worth it. In some situations, the risk of disappointment is so great that people give into hopelessness instead of standing in faith and staying in the race. In these times, you must contend and persevere! You have to “Keep it coming”! I want to encourage you today to “Continue”! John 4:34-37 NLT: “Then Jesus explained: “My nourishment comes from doing the will of God, who sent me, and from finishing his work. 35 You know the saying, ‘Four months between planting and harvest.’ But I say, wake up and look around. The fields are already ripe for harvest. 36 The harvesters are paid good wages, and the fruit they harvest is people brought to eternal life. What joy awaits both the planter and the harvester alike! 37 You know the saying, ‘One plants and another harvests.’ And it’s true. Each day I have been adding some ideas for ways to enhance your prayer life. Every aspect I am covering each day will eventually all go together. It has been challenging to try to only pull one piece out at a time, but I hope you are starting to put all the different pieces together and are feeling some momentum. We started our week talking about fasting, and those of you who are already participating in that aspect are likely starting to feel a shift today on day four. If you gave up something that takes a lot of your time, you are probably realizing just how much time you spent and are likely realizing you might need to re-prioritize some things at the end of this week. If you gave up food, you are probably at a place where you flesh has become weaker than your spirit and you are shifting from works to grace. It is so much easier in this state to give control to God and allow him to show you things that normally you might miss. It is in our weakness that his strength is made perfect. Yesterday, we talked about fellowship with the Lord being an important part of prayer. We need to spend time with the Lord as we long to spend time with those we love the most and as we cultivate our relationship with him, our prayer life will flourish as a result of that fellowship. We talked about the ABCs of prayer and focused on the “A” and abiding. Today I want to move on to the “B” which stands for “Believe”. Jesus is our supreme example and I love to study the Gospels and see how He responded in different situations. He is our mentor and He had much to say about belief and unbelief. Another amazing story is found in the fifth chapter of Mark. A man named Jairus, came to Jesus, and fell at His feet asking Him to come to where his little daughter was because she was dying. He knew that if He prayed for her she would get well and live. While on the journey, a woman who desperately needed healing reached through the crowd and touched Jesus. He stopped because he felt healing virtue leave His body when she touched the hem of His garment. During this delay, someone told Jairus to leave Jesus alone because his daughter had died, however, Jesus overheard it and He said, “Do not be afraid any longer, only believe” (Mark 5:36). I love this story because Jesus addresses both belief and unbelief. He tells this father who has just learned that his child has died to not be afraid, but only believe. Can you imagine? Put yourself in the shoes of this daddy who has just learned his little girl is dead, yet Jesus is saying turn your fear into faith! When they reached the house, what Jesus did next, further demonstrated the power of unbelief. Peter said to Him, “Rabbi, look, the fig tree which You cursed has withered.” 22 And Jesus answered saying to them, “Have faith in God. 23 “Truly I say to you, whoever says to this mountain, ‘Be taken up and cast into the sea,’ and does not doubt in his heart, but believes that what he says is going to happen, it will be granted him. 24 “Therefore I say to you, all things for which you pray and ask, believe that you have received them, and they will be granted you. With that thought of faith that moves a mountain in mind, I want to share something that recently happened to me. I typically spend some time entering into worship by listening to music most days during my daily devotional time. A few weeks ago when the Lord was really dealing with me about the focus for this year being “No Precedent”, I had a suggestion to listen to a new song. When I heard him say this, I immediately thought about every time I found myself in situations like this where I felt like I was facing a giant of unbelief or maybe we could even call it a mountain of unbelief. That moment when we question if we will really see the miracle. Today our topic is “BELIEVE”! If you are faced with a mountain of unbelief, speak to it to move. I want to close our time of teaching with one last passage. It is a bit lengthy, but I want you to read this before we introduce today’s pray focus and Scriptures. If you are struggling with unbelief, do as this father did and ask God to help you with your unbelief! Lastly, Jesus said “This kind can be cast out only by prayer” that should reinforce to you the power of prayer. Psalm 71:7-8 NLT: “My life is an example to many, because you have been my strength and protection. 8 That is why I can never stop praising you; I declare your glory all day long. Today I want to quickly encourage you on the topic of fellowship and your prayer life. So often, people tend to see prayer as a duty instead of a delight and I believe the key to unlocking the pleasure of prayer is fellowship with our creator and the pleasure of His company. This verse is the key to a powerful prayer life, that we may know Him, progressively becoming more and more acquainted with Him! Spending time with a stranger is very different then fellowshipping with a dear friend or loved one. Your prayer life can become a delight when you are able to develop and enjoy fellowship with your Father. Relate this to a married couple. When they joined in marriage, they immediately had a relationship, one of husband and wife, but that does not necessarily mean they have fellowship. They must cultivate their bond by spending time communing together. In a healthy marriage, this creates a connection that is a delight not a duty. Now relate that to your relationship with Christ. When you accepted Him as your Lord and Savior you were immediately in a relationship with Him, however, you equally must cultivate your bond with Him by spending time with Him, learning to abide in Him. If you find your prayer life is feeling like a duty or a drudgery, check your priority level on abiding and fellowshipping with your Savior. Think of it as the ABCs of Prayer. Prayer is more than asking seeking and knocking. Prayer is a moment-by-moment communion with God. Today we are focused on the “A” in the ABC’s of prayer, which is abiding. We will discuss the other two later this week. With that thought in mind, let’s start our prayer time with praise and worship today and then the prayer focus and Scriptures are listed for you below. Before we look at today’s prayer focus, I just want to quickly discuss adding some component of fasting to your week’s activities. If you have not already decided what you will do, I want to encourage you to make a plan and write it down. Jesus placed fasting on the same level as prayer and giving. You can read that in Matthew chapter 6. It says in verse 2, “When you give”, in verse 5 it says, “When you pray”, then in verse 16 it says, “When you fast”. Notice it doesn’t say “If”, it says “When”. Jesus by His example and His teaching demonstrates that prayer and fasting are important and integral ingredients in the lives of His followers. One purpose of prayer and fasting is to bring our hearts to a place of being filled with a sacrificial love that results in godly attitudes in our lives. True fasting will draw us closer to God and His purposes. Let’s consider fasting food. This type of fasting brings a sharp focus to the dramatic difference between our physical and spiritual natures. Eating is one of the most fundamental things we do as physical beings. By exercising our wills and depriving ourselves of food for spiritual purposes, we acknowledge our spiritual natures and honor our Creator-Father. When I am fasting and I feel hunger, I like to cry out to God and say I am more hungry to see you move than I am hungry for food! Perhaps you will choose to give up certain activities as part of your fast. It is important that we don’t just give up things, but that we spend additional time seeking the Lord during this consecrated time. Remember fasting doesn’t change God, it changes us! Proverbs 17:6 NLT: “Grandchildren are the crowning glory of the aged; parents are the pride of their children.